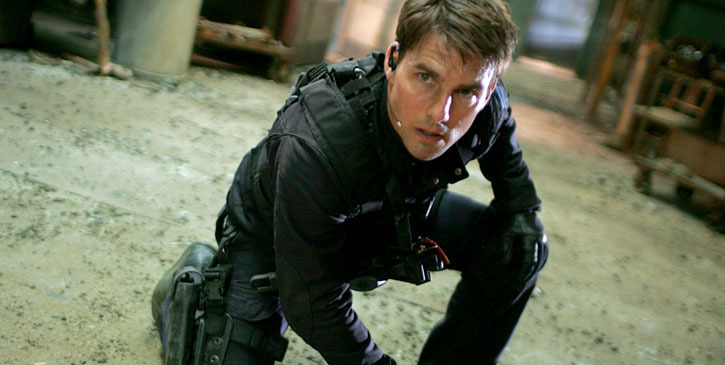 JJ Abrams directs Tom Cruise as Ethan Hunt in this latest MIF caper. Aiding Hunt is his usual crew - Maggie Q as Zhen and uber-cool Ving Rhames as Luther. Trying to finally exit the MIF life and retire, Hunt marries Julia (Michelle Monaghan). Alas the scriptwriters have different ideas for Julia after Hunt captures bad guy Owen Davian (a wickedly evil Philip Seymour Hoffman). She is duly dispatched to Shanghai as a bartering chip for Hunt to steal - wait for it - the "Rabbit's Foot", which is some crazy nuclear vial that will end the world or something - sorry, this reviewer lost track, and, frankly didn't really care by this point what it was all supposed to be about. In the end, there's plenty of action and Tom huffs and puffs his way through it all capably - the utter lack of any romance between him and Monaghan aside - and Billy Curdup, as double agent Musgrave, gets his comeuppance. Roll credits; roll eyes. My rating 3 out of 10 for some breathtaking special effects.